How to Create A Facebook Page ( Fan page ). Facebook is growing as world top most social networking site and it Continue to be Popular for next upcoming five year till some new Concept of Social Networking come in Future. According to Our Social networking experts views , There is no doubt in Present Facebook popularity and its popularity is still counting and will be on top for upcoming 5 years . Most important thing about Facebook is that Facebook Page may be used to Promote product , website ,brands etc also it helps to build close Relation with the audience and Customers .So its all Advertisement and Customer relation stuff to Create a Facebook Page . Easy to subscribe and get updates to FB home makes Facebook Popular since in Facebook , A facebook user can easily subscribe to Facebook page updates by liking it or by following page . Actually , What makes Facebook page popular is due to its easiness of subscribing Page by just liking page, Audience or Customer , A Facebook Users who like particular Facebook Page gets updates directly to there facebook homepage . So , its easy for the Customer and audience to get Updates from particular Website along with the Feedback .It proves to be a easy advertisement source for the website owner , Company , Business ,Brands ,artist ,band ,non profit organisation , and Web owner to use Facebook as marketing tools and help there Customer and Audience with there Products or website updates . Why Create Facebook Page ? Facebook page Improves Customer and audience relationship as well as helps to promote traffic and sells. 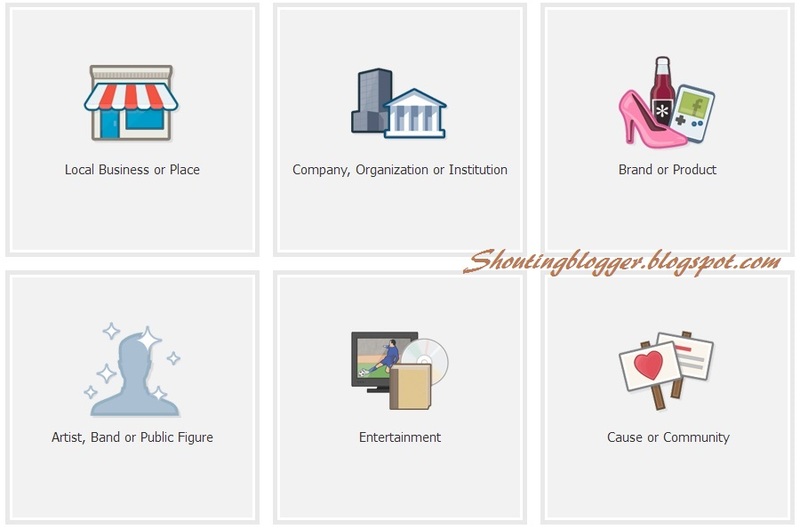 In this tutorial you will be able to create FB page for website,blog, Brands, Products, bands, Cause, Non profit organisation etc . Step 1 : Go to Facebook Home by typing Facebook.com in your web browser address bar and Sign in to your Facebook account . Step 2 : Once you log in to your Facebook account then Go to Facebook Site footer (at Bottom of Facebook website ) and Click on Create Page or Enter http://www.facebook.com/pages/create/?ref_type=sitefooter in your Web browser Address and hit Enter . Step 3 : Under a Create a Page , Choose Best Facebook Page Type which describe and Suits your Website Theme, product ,Brand or company etc . Step 4 : Out of six Facebook Page Type click on the Facebook page type and fill the details as prompted . Step 5 : Click on the Get Started button .